Sew what, you ask? Learn some easy sewing techniques, and sew anything you want! When you learn to sew, you open up a whole new DIY world. Imagine being able to hem a new dress or alter a pair of slacks for just the right fit, or making an easy-sew kimono? 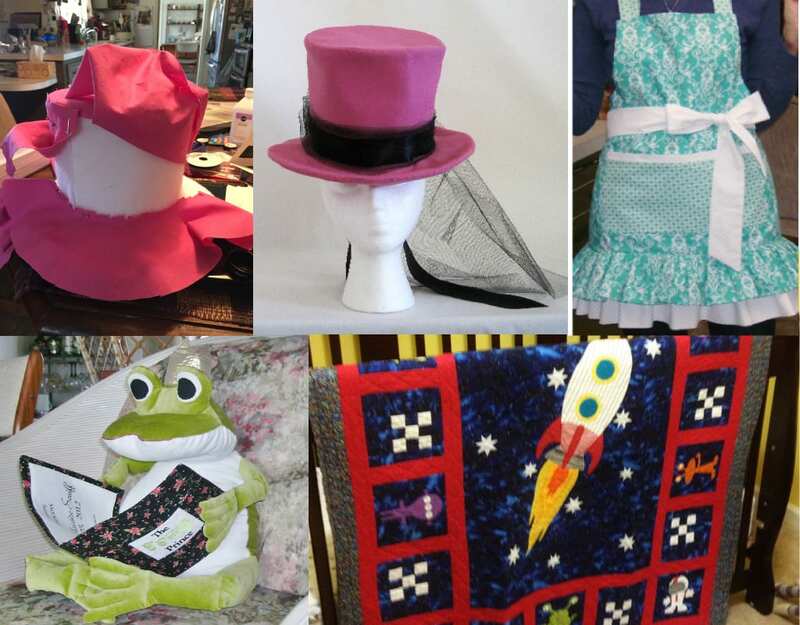 Sewing skills will enable you to make everything from clothing & costumes to quilts, pillows, and home decor. Machine and hand sewing are relaxing, creative outlets. You can save some money by making something rather than buying it, and you get a nice boost knowing you did it yourself! Disclaimer: In the name of full transparency, please be aware that this blog post contains affiliate links and any purchases made through such links will result in a small commission for me (at no extra cost to you, of course). There are so many great patterns & tutorials available today. Check out Pinterest, and you’ll find patterns to sew, knit, crochet, and stitch. Don’t be intimidated because you don’t know how to make them. Take the leap and learn how! I’ve had several people come across my pattern designs, like them, and walk away because they don’t know what to do with them. It’s kind of frustrating for me, and I’m sure it is for them. For example, a few weeks ago I had someone contact me about my Team Spirit quilt pattern. She loved the design, and wanted an Ohio State version for her grandson. Problem was, she had never sewn a stitch in her life! Just because you can’t sew now, doesn’t mean you can’t sew ever! If you want to learn to make a simple patchwork quilt, you only need basic sewing techniques. A more complicated quilt may require more technique, but you can learn as you go. If you want to make clothing, you’ll need a little more practice and some additional skills. The great thing is you can master the sewing skills for whatever you want to make. Do an online search for sewing classes in your city or county. I think you’ll be surprised at the results! I searched in our area, and came up with everything from big box stores to individuals teaching one-on-one in their homes. If you want to make a quilt, check with local quilt shops. Most quilt shops offer classes for patchwork and applique quilting. Big box stores like Joann usually have a good list of classes available. You can learn to sew, knit, crochet, and much more. I came across a cool looking place near me that offers sewing classes for kids and adults. They even offer a sewing boot camp! The shop is called Fairy Thimbles, and they’re located in Palm Bay, Florida. Sites like Thumbtack and Takelessons can help you find local instructors for one-on-one classes. Your schedule may not support local class schedules. You might just prefer to learn at home, at your own pace. No problem – there are some great options for you as well! Craftsy is a well known, well respected site that offers video classes. You can learn cake decorating, sewing, cooking, and more. Prices seem pretty reasonable, and they have sales from time to time. If you would rather not spend the cash, check out YouTube. I searched “sewing for beginners” and came up with several video tutorials. These are just a few ideas to get you going. I haven’t tried any of the classes or videos mentioned. If you try them, please let me know what you think! Please check out a few of my patterns for more reasons to learn to sew! Clothing, costume, and more home decor patterns coming soon.